My IT Infra Video Phone setup is simple and easy (no technical expertise is required). The entire process takes less than 10 minutes. Step 1- Connect Video phone LAN port to Broadband Modem or router using the Ethernet cable. Step 2- Plug the power adapter into a power outlet – Wait for the My IT Infra start up screen to display. Step 3 -Start calling to any other My IT Infra subscriber. A Broadband Internet Connection – ( DSL or Cable ). Step 1 Connect Video phone LAN port to Broadband Modem or router using the Ethernet cable. 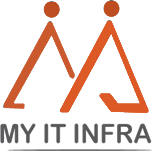 Step 2 Plug the power adapter into a power outlet – Wait for the My IT Infra start up screen to display. Step 3 Start calling to any other My IT Infra subscriber.